The night of Tuesday 10th July became a devastating night for the people of the Philippines. 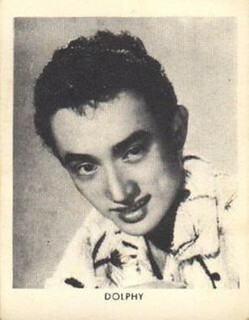 It is the night when the Philippines’ comedy king, Rodolfo “Dolphy” Quizon, took his last breath. At approximately 8.30PM, Sir Dolphy finally rests in peace after a long time of battling his failing health. For me, ever since I can remember, Dolphy has been making people laugh and feel light-hearted through his TV shows, TV appearances and many many movies. That is why he has been named “The Comedy King” of the Philippines and rightfully so. Every person that knows him or knows of him would attest to this fact. I think the saying “laughter is the best medicine” was created when Sir Dolphy was born because it just goes hand in hand with his personality and his whole being. He is the best natural healer I know. 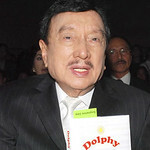 Dolphy never failed to heal people’s sadness, worries and fears. Sir Dolphy was a very kind man. 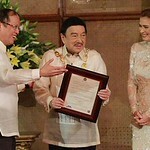 Not only did he give laughter to the masses but he also helped the needy through his DOLPHY AID Para Sa Pinoy Foundation. Although I know a lot of the Filipino people, wherever they are in the world, will have tears in their eyes for the passing of a great man, I know that they are less tears of sadness but rather tears of respect and appreciation. Appreciation to Sir Dolphy for sharing himself to the masses and for never making us feel sad. 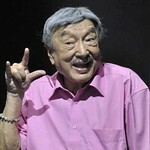 Sir Dolphy, I would like to thank you for being a part of my life, for always making me laugh when I needed it the most. You will always be remembered in everyone that you have touched with your comedy and kindness. You will never be forgotten. 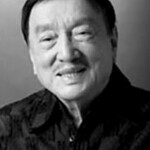 Bye for now Mang Juan, John Purunton, Kevin Cosme … Sir Rodolfo “Dolphy” Quizon. Gone but not forgotten. May you rest in eternal peace.